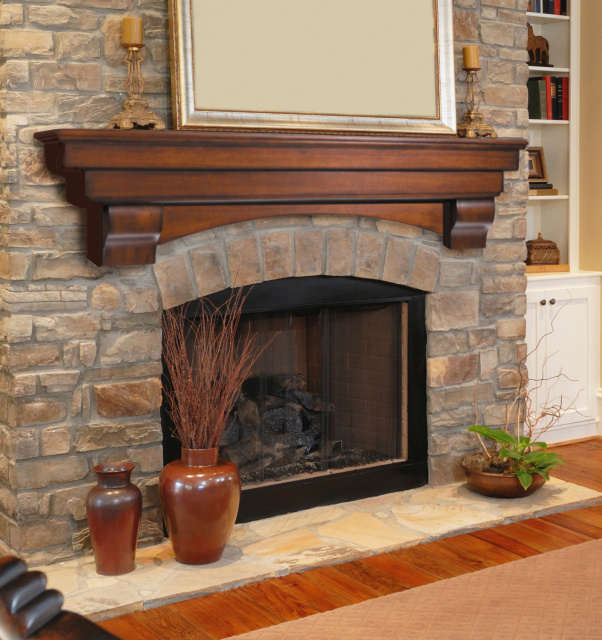 A MANTEL SHELF is often the very best choice when adding a mantel to an existing fireplace. For example, if you home has a brick or stone wall, it's nearly impossible to find a pre-made full mantel with legs that will fit it properly and look presentable. 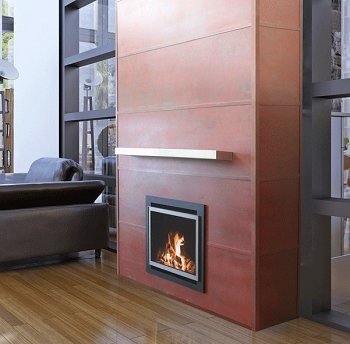 However, mantel shelves are available in a wide range of sizes and styles. Mantel shelf placement then becomes a matter of personal preference. It can be either slightly wider than the fireplace opening, or it can span the entire width of the masonry wall - or anywhere in between. Installing a mantel shelf - as opposed to a full mantel with legs - can open up a full range of decorating possibilities. And these shelves aren't just for use above fireplaces! There are a wide range of sizes to use for shelving in any room. 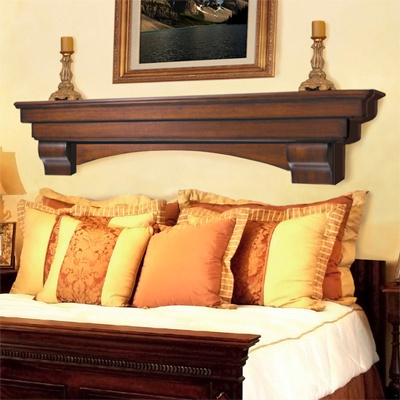 How about a wide shelf to use in place of a headboard?